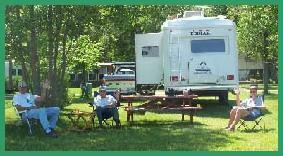 Green Acres offers a variety of camping and seasonal sites. 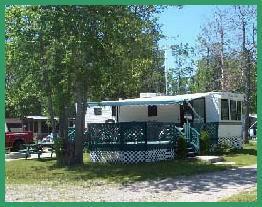 Enjoy your stay with us on our fully serviced lots or tough it out tenting on our lots right next to our sandy beach. Either way you'll feel right at home! A big hello from these folks, who soak up the sunshine while relaxing.